The moment had come. The dreaded diagnosis was in. 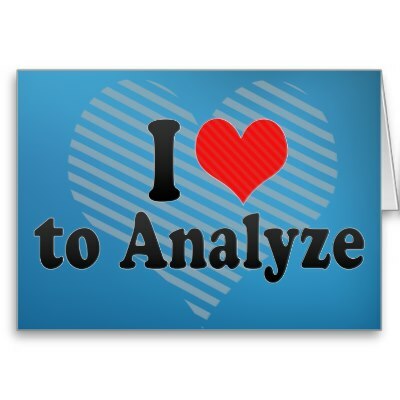 I was suffering from…the paralysis of analysis. It sounded serious, but what on earth was it? Research revealed that it is the state of over-analyzing (or over-thinking) a situation so that a decision is never made or an action is never taken. I had been approached about leading a particular ministry in my church. It was something that I was capable of doing but I couldn’t move past the question, “Is this God’s will for me?” I had been there before, as if God’s will is some sort of vague, hazy thing – a vapor that can’t be grasped. The paralysis of analysis sets in and I research endlessly wanting to know God’s will but wondering if I can really, actually find it. The result is precious time squandered, a missed opportunity and a loss of peace of mind. I find myself wishing that somehow I were one of the “chosen”. You know, the ones who always seem to know God’s will in life. They get a vision, a word of wisdom, an open door, an invoice – something seemingly magical that lets them know God’s will for their life. The reality is, we are all “chosen”. Some are just more spiritually mature in understanding what it means to know and do God’s will. Over the years as I have desired to know God’s will I have come to realize three things. Satan wants us to be confused and directionless. (John 8:44) When those things characterize our walk with God we become ineffective in living out His plan for our lives. God has a preordained plan for us (Jeremiah 29:11), has given us specific steps for accomplishing that plan and wants to see our lives matter. Before God will reveal His will to us, we must be committed to doing whatever it is that He desires for us to do. (Matthew 16:24) Why would God show us His plan if He knows we are not likely to follow that plan? So, how do we know God’s will? First, we must have a relationship with Him through His Son, Jesus Christ. (1 Timothy 2:3-4) Cultivating that relationship means spending time in His Word, taking time for prayer, and taking advantage of opportunities to be involved in church and small groups. Secondly, we must ask the question, “Are we giving God the highest priority in our lives? (Matthew 6:33) God cares about what is going on in our hearts. Any time we make a decision we have an opportunity to choose who we will worship – God or ourselves? God desires to be the highest priority in every area of our lives. Third, God’s will is revealed through His Word. (Psalm 119:105) Ninety-eight percent of what God wants us to do in life is spelled out in His Word. It may be stated explicitly as God’s will (1 Thessalonians 5:18), in the form of an instruction or command (Exodus 20:3) or inferred from a scripture passage (remembering that context always rules). It is the fuzzy stuff in the middle – who shall I marry, which job should I accept, where should I live – that often paralyzes us into inactivity or indecisiveness. Fourth, God leads us through the inner promptings of the Holy Spirit. (John 16:13a) Are we listening or do we let the noise of our lives crowd out those promptings. Fifth, we should ask God for Wisdom. (James 1:5) It is available to all who ask for it in faith. The question is “Do we ask?” It may require fervent, focused prayer and perhaps even fasting – or, do we think we’ve got this one on our own? Sixth, God often leads through the counsel of wise, qualified, trustworthy people. (Proverbs 15:22) Charles Swindoll describes these counselors as individuals who are usually older and not your family or friends. They are individuals who want only what God wants for you and have nothing to gain or lose. They will stay objective, listen carefully, and answer only after thinking and praying about it. Seventh, God may lead through opportunities and circumstances. Open doors and opportunities are not just “lucky” occurrences. (Philippians 1:6) The events that God allows in our lives are all a part of His plan for our success. None of it happens by chance. So, we have a choice – we can live our lives as the world lives or we can embrace our lives right now as God’s will. Knowing God’s will is sometimes difficult because it requires patience. We want to know it all at once, but that is not usually how He works. Doing God’s will demands a decision. We can’t get stuck in the paralysis of analysis. Our decision requires faith and action. We cannot see the outcome, so we have to trust Him in faith and step out…doing the last thing He called us to do until He reveals the next thing He wants us to do and remembering that all He calls us to do is for His glory and our good. Truth to Claim: God wants to reveal His will to us. Application: While seeking God’s will do the last thing He called you to do until He reveals the next step He wants you to take.